According to Mintel, the world’s leading market intelligence agency, a record one in eight British adults are now vegetarian. There’s also a growing number of so-called ‘flexitarians’, those who, although not strictly vegetarian, still strive to eat much less meat than they did before. Of course many ditch meat for ethical reasons – they believe that it’s better for animal welfare and the environment, for example. 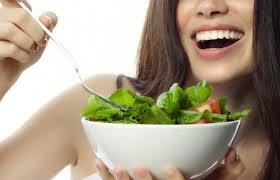 Others are attracted to the purported health benefits associated with the vegetarian diet. Indeed, a number of studies suggest that vegetarians are less likely to suffer from heart disease, cancer, diabetes or obesity, and have a 12% reduced risk of death than non-vegetarians. The trend towards vegetarianism has had a corresponding impact on the UK food and drinks market, with an increasing number of meat substitutes now available for purchase. Unfortunately, many of these commercial meat alternatives are not as healthy as they might first appear. To cater for the UK’s increasing number of vegetarians, British supermarkets today offer a large selection of meat substitute products, such as vegetarian burgers and sausages, which are extremely similar in appearance to meat. Regrettably many of these are not as healthy as they might seem. In fact, the key constituent of many of these products is unfermented soy. Phytic acid – which can hinder your body’s ability to absorb important minerals, such calcium, magnesium, copper, iron, iodine and zinc (minerals that are all too often lacking from a poorly planned vegetarian, vegan or rawfood diet). Trypsin inhibitors – which can interfere with protein digestion and result in problems with your pancreas. Aluminium – which can be toxic to both your central nervous system and kidneys. Phytoestrogens – natural oestrogens, which occur in certain types of food, and share similar properties to the oestrogen that’s synthesised in the human body. Indeed, it’s precisely because they’re so similar that phytoestrogens are able to disrupt hormonal balance and cause oestrogen dominance, infertility, irregular menstrual cycles, thyroid problems and even an increased risk of breast and thyroid cancer. Consuming large amounts of unfermented soy is also thought to weaken your immune system and may increase your risk of food allergies and intolerances, as well as kidney stones. And, although unfermented soy based meat substitutes often claim to contain vitamin B12, they actually contain a type of vitamin B12 that cannot be absorbed by the body, which is extremely misleading. In fact, the consumption of unfermented soy based products results in an increased need for both vitamin B12 and vitamin D.
Lastly, unfermented soy based meat products have been genetically modified – as it’s still it’s not clear what the long-term health affects of GM products are, it’s best to avoid them altogether. Of course, not all meat substitutes are made from unfermented soy. Some are prepared from corn, peas, mushrooms, nuts, dairy products and eggs. However, the vast majority of these are highly processed and thus loaded with salt and artificial additives, making them equally as unhealthy. Protein – which your body requires for growth and repair. B Vitamins – which boost energy levels, improve mood, encourage healthy skin and can help to reduce your risk of developing heart disease. Vitamin D2 – which helps your body to absorb calcium and promotes bone growth. Iron – which is required to manufacture the red blood cells that carry oxygen around your body. Calcium – which helps to build strong bones and teeth, regulates muscle contractions (including heartbeat) and ensures that your blood clots normally. Zinc – which helps your immune system to combat bacteria and viruses, and is used in the manufacture of protein and DNA. Omega-3 fatty acids – a healthy type of fat, which boasts anti-inflammatory properties and may help to reduce your risk of heart disease and certain types of cancer, including breast cancer and prostate cancer. Research also indicates that omega-3 fatty acids can help to combat rheumatoid arthritis, reduce the symptoms of ADHD and autism in children, and help those suffering from depression or memory disorders. The good news is that you don’t have to eat meat in order to obtain many of these essential nutrients – that’s because Mother Nature has provided a wealth of vegetarian sources, including a large selection of yummy, organic superfoods that you can use to augment your vegetarian, vegan or rawfood diet. Superfoods are not only extremely delicious; they’re also extraordinarily nutrient-dense and thus form an integral part of any healthy vegetarian, vegan or rawfood diet. The handy table below reveals which organic superfoods are able to help to boost your intake of those nutrients traditionally sourced from meat and fish, as well as eggs and dairy products. Protein Nuts and seeds, including organic almonds, organic cashew nuts, organic hemp seeds and organic chia seeds. Supergreens, such as organic chlorella powder and organic spirulina powder. Bee pollen. Superfruits, such as organic goji berries. B Vitamins Nuts and seeds, including organic almonds and organic sunflower seeds. Supergreens, such as organic kale, organic kelp powder and organic spirulina powder. Vitamin D2 Supergreens, such as organic kale. Raw almond milk. Organic mushrooms, such as Maitake mushrooms. Iron Nuts and seeds, such as organic cashew nuts, organic almonds, organic hemp seeds, organic pumpkin seeds and organic sunflower seeds. Supergreens, such as organic spinach, organic kale, organic chlorella powder and organic spirulina powder. Superfruits, including organic dried apricots, organic dried mulberries, and organic dried raisins. Raw cacao products, such as organic cacao beans and organic cacao powder. Calcium Nuts and seeds, including organic chia seeds, organic sesame seeds, organic almonds. Superfruits, such as organic dried figs and organic baobab powder. Supergreens, such as organic kale and organic spirulina powder. Zinc Nuts and seeds, including organic pumpkin seeds, organic cashew nuts. Raw cacao products, such as organic cacao beans and organic cacao powder. Omega-3 fatty acids Nuts and seeds, such as organic walnuts, organic pumpkin seeds, organic hemp seeds, organic sunflower seeds and organic chia seeds. Sea algae, such as organic kelp powder, organic chlorella powder and organic spirulina powder. As you can see, many of the vitamins, minerals and other nutrients typically associated with meat, fish and eggs, can be readily secured from organic superfoods. And these days there are a number of superb superfood recipe books and DVD’s that make learning to prepare healthy vegetarian, vegan and rawfood meals an absolute breeze! ← Nuts – eat more, live longer! Sabe o que combina com uma boa alimentação? PARKOUR!